The Arboretum in the Imperial City. The Arboretum is, as the name implies, the park of the Imperial City. 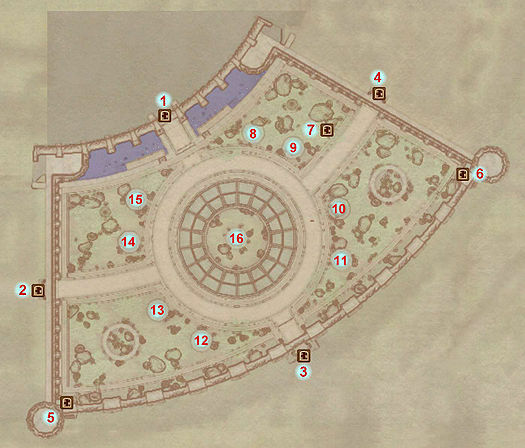 There are statues of the Nine Divines, including a statue of Tiber Septim in the center. To the southwest is a statue of Akatosh, which depicts a man holding an hourglass who has a dragon's head poking out of his back. Larthjar the Laggard lives here, except during the quest Lost Histories. The Arboretum also appears in ESO. This page was last modified on 24 June 2016, at 11:20.